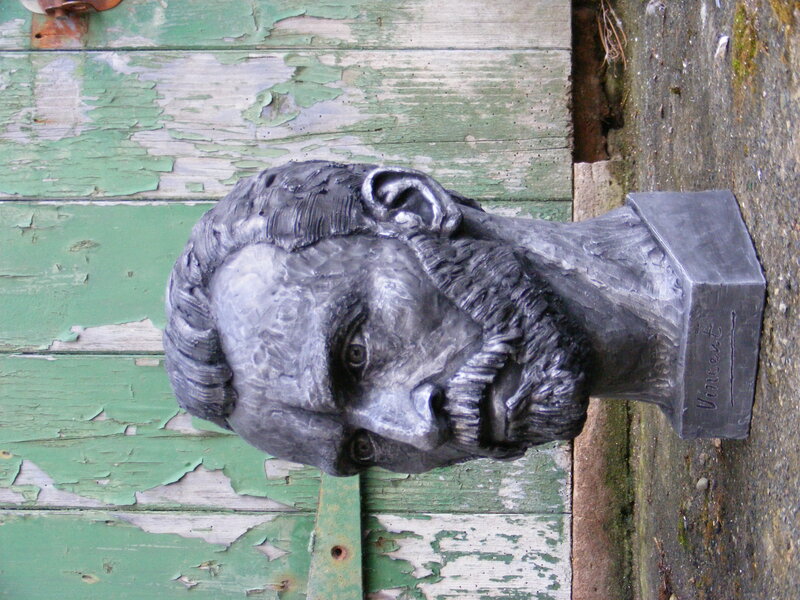 The first public sculpture of Vincent Willem Van Gogh 1853-1890 in England is to be installed on Friday 16th November at Van Gogh Walk, Brixton, SW9 0RD. The sculpture will be installed without ceremony. The artist will be available for interview throughout the installation at Van Gogh Walk, Brixton, SW9 0RD - between 10.30am and 2.30pm on Friday 16th November. Van Gogh lived 1873-1874 on the adjacent street 87 Hackford Road, Stockwell, London, SW9 0NB whilst working as an art dealer in Covent Garden. 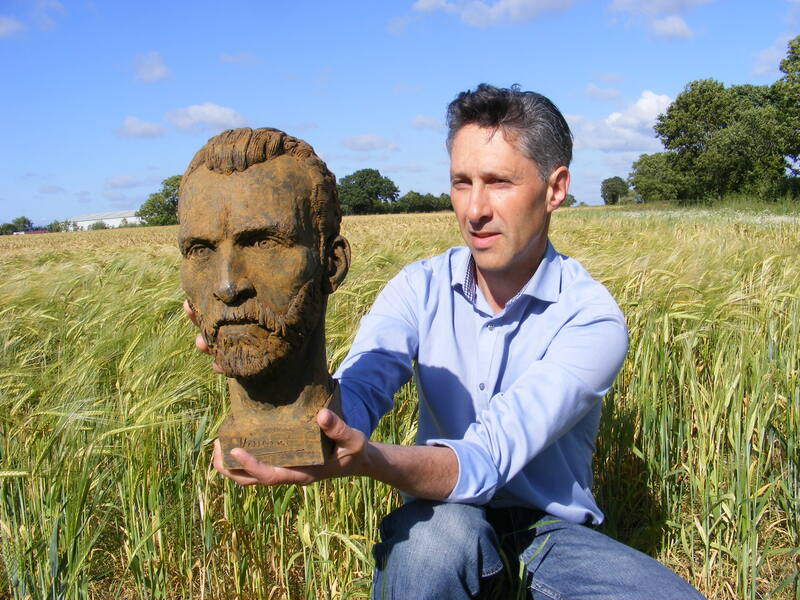 The work is part of a year long project "A Year With Vincent" by award winning artist Anthony Padgett whose bust of First World War poet Wilfred Owen recently featured on the BBC News at Ten. Padgett has an MA in Contemporary Art from Wimbledon School of Art and has sculptures in major galleries, museums, libraries and in Ripon Cathedral. It is his second public sculpture in London, the first being of 1920s poet Humbert Wolfe at Eccleston Square Gardens, near Victoria Station. - in the Borinage in Belgium where he was a missionary to the mining community 1878-1879. - in 4 places Vincent lived in the UK at Brixton, Ramsgate, Isleworth and Welwyn. The base of the sculpture incorporates items from his life including 19th century Parisian paints and the same pipe that he smoked that is on Vincent's famous "Chair" painting in the National Gallery. The work is part of a resurgance of interest in Van Gogh that coincides with the releases of the films "Loving Vincent" (last year) and "At Eternity's Gate" with Willem Dafoe (this year) and with next year's the blockbuster exhibition at Tate Britain of Van Gogh's work which will celebrate his time in England. This press release was distributed by ResponseSource Press Release Wire on behalf of Anthony Padgett in the following categories: Entertainment & Arts, Leisure & Hobbies, Education & Human Resources, for more information visit https://pressreleasewire.responsesource.com/about.